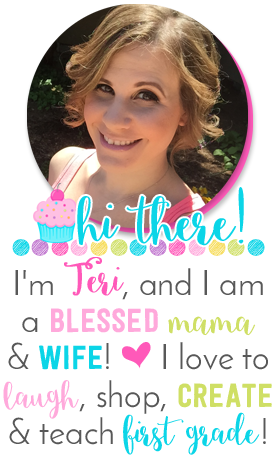 Anywho, I'm stopping by today to share a new product with you! 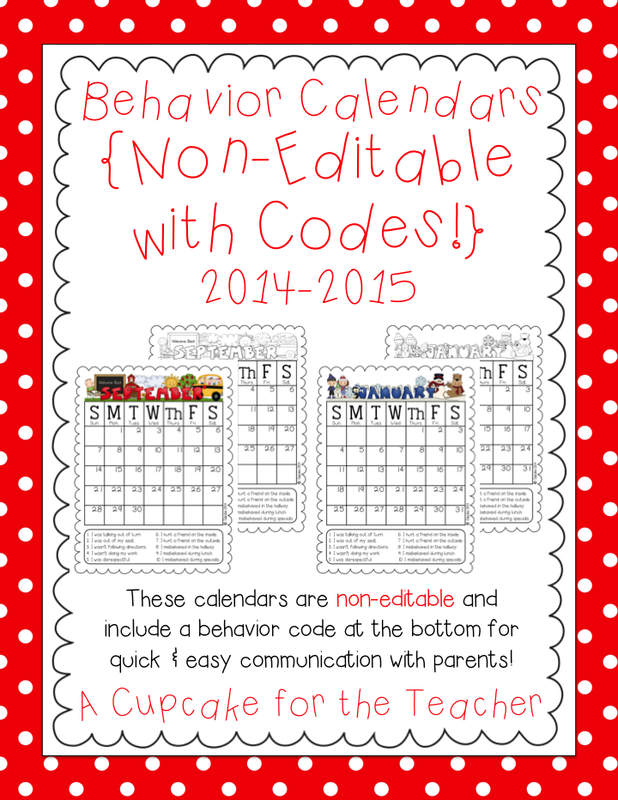 I received a TON of requests from sweet Cupcake followers, so I have *finally* added my non-editable behavior calendars WITH codes back into my shop! Each non-editable calendar includes 10 codes at the bottom to make noting behavior quick and easy for both teachers and parents! The calendars come in color and b&w for easy printing. You can purchase them from my TpT shop if you're interested! 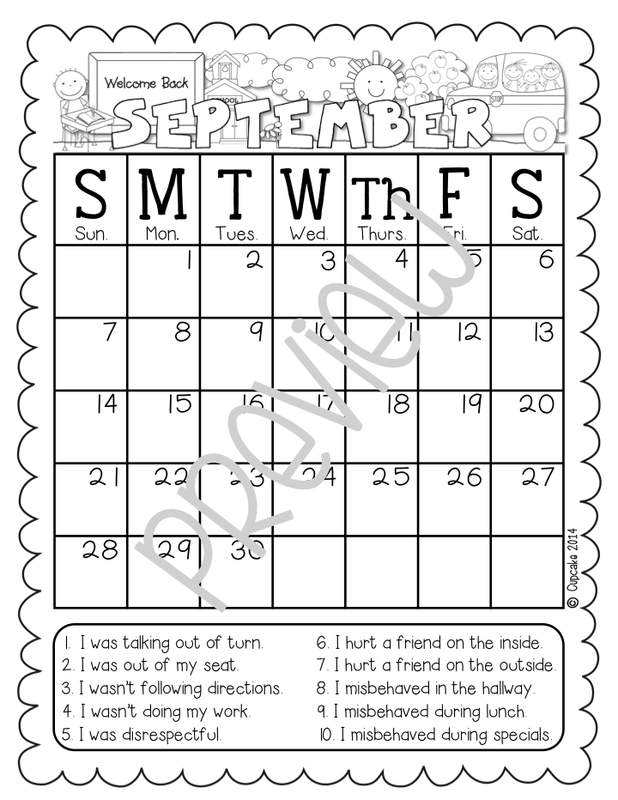 Whichever version you choose, these behavior calendars are really a wonderful communication tool. At the end of the month, you can collect all behavior sheets and keep them in folders to refer to during conferences, etc. I also use them to reward good behavior by giving a little prize to those kiddos who did not clip down all month. I hope you find them as valuable as I do!! Now it's time to get back to being lazy :) Enjoy your night!! XOXO!